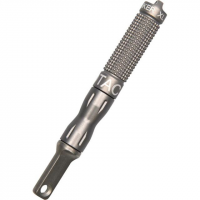 Exotac Camp & Hike Matchcap - Gunmetal 001003GUN. 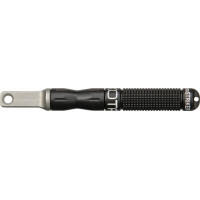 With the dual-striker design you can use safety matches or strike-anywhere matches. An O-ring keeps both the matches and the red phosphorus (strike-on-the-box) striker dry. Exotac Camp & Hike Nanostriker XL Firestarter Black ET1140BLK 001140BLK. Exotac Camp & Hike Nanostriker Xl - Gunmetal 001140GUN. Weighing only half an ounce, the Exotac PolyStriker(TM) firestarter can be carried along on every adventure to ensure you have the means to start a fire. In an emergency, remove the core from a tinderZIP zipper pull for highly-flammable, waterproof and easy-to-ignite tinder that lights in any weather. 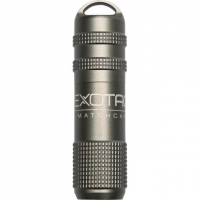 The Exotac titanLIGHT is a precision-machined, durable, waterproof lighter that uses standard lighter fluid as fuel (Zippo or equivalent; sold separately).